Did you know your journey as a woman has the power to ignite confidence, wisdom, joy and freedom within? Your story is full of rich experiences from Child to Elder. As women, we can get bogged down with the day to day and feel as though we have lost ourselves in all the many hats we wear. We can get caught up in the burdens that come with the many life transitions, losing touch with our grace, ease and passion. Our Feminine Soul is always present, always available for us. We need only to turn to her for the wisdom of the many women in before us, and now in us. She is there in all creation, showing us the Creator’s loving care for us through the moon, sun and stars and weather of the skies, birds and insects or the air, the animals and plants of the earth and the wildlife of the beautiful waters. We have access to Feminine wisdom every day which can guide us with strength, mercy and strong purpose. For women, it is incredibly important for us to take time to draw on the inner resources of our Feminine Soul and listen to our Wise Woman. 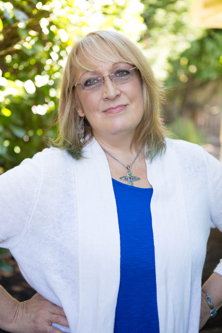 Do you feel a yearning toward a deeper understanding of yourself as a woman, a sense that something seems to be missing…something creative, passionate and connected to the very spiritual nature of who you are? We want to gift you with something special, a simple practice of connection with your Feminine Soul that you can visit over and over again. Lezette and I believe that creative connection is so powerful, that we have created for you, dear one, a free week-long series: Wise Woman: Seven Day Creative Journey which begins April 1st. Using the magical practice of art journaling, you will enjoy seven days of creative prompts, meditations and tutorials inspiring written and art expression as a way to touch your Feminine Soul and reconnect with your Wise Woman story. 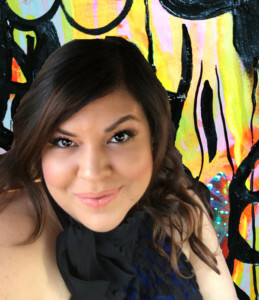 After you complete this seven-day journey you will have a bite-sized artful practice to connect with your inner Wise Woman on a daily basis, which allows you to begin to journey alongside yourself, drawing from your inner creative resources. 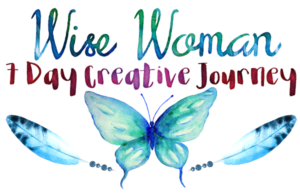 We would love to have you to accept our gift of the Wise Woman: Seven Day Creative Journey starting April 1st and allow us to inspire you along your feminine path.